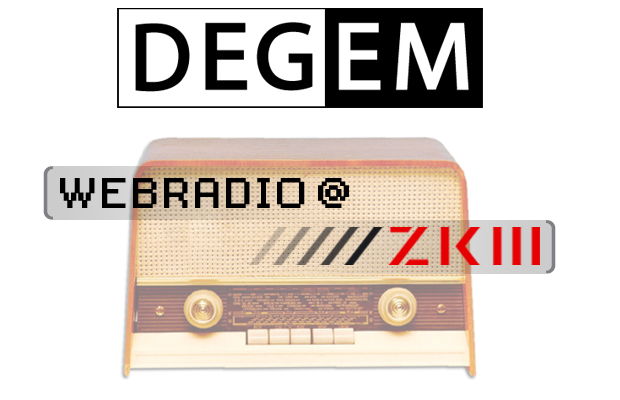 Center for Art and Media (ZKM) in Karlsruhe, Germany is broadcasting a radio feature on Ethernet Orchestra through their DEGEM web radio from today. The two hour program documents our performances over the last two years and contains interviews with the musicians speaking about their experiences of working with the project and the different aspects of the telematic improvisatory music making. Thanks to radio journalist Mirko Heinemann and blackhole-factory for supporting it. 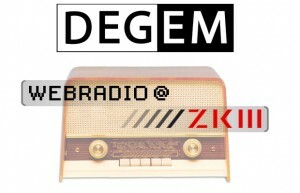 Access broadcast and ZKM HERE. The program is broadcast twice a day for a month and can be listened to a different times each day. It is scheduled within program block E.